In working environments where close fitting respirators are required as a control, it is essential that they fit and seal against the face correctly to provide the expected levels of protection. People all have different face shapes and sizes, so it is critical to verify that a close fitting respirator can seal adequately for each worker before they work in the contaminated area. Respiratory fit testing is the process of checking that an adequate seal between the wearer’s face and respirator is able to be achieved. As specified in AS/NZS 1715, fit tests should also be performed annually, when a different respirator is used, or when there is a change to facial features from dental work, significant weight gain/loss, or a change in facial features that may affect the facial seal. Fit testing is an important of any respiratory protection program (RPP), but it is only one part. The correct mask type and filter must be adequate for the contaminant. 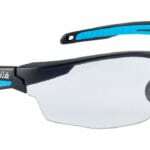 The mask and filter must be suitable for the worker, task, PPE compatibility and environment. The worker must be trained in the correct use, fitting and maintenance of the selected respirator. 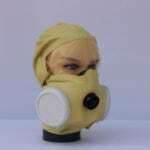 The respirator must be worn 100 per cent of the time protection is required. Further information about all the elements of a RPP can be found in AS/NZS 1715, or by contacting 3M for further information. 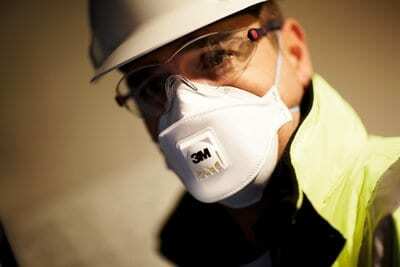 3M is running a limited time offer on fit testing. This offer is applicable to employees who convert to 3M’s range of disposable and reusable respirators (half face and full face) from another brand, or upgrade from their current 3M range. It doesn’t matter how good a filter is, if a mask can’t adequately fit a wearer’s face, is not fitted correctly or not worn at all, the expected levels of protection won’t be achieved. For more information about how to make use of this limited time offer, visit the 3M website here.